Discover the wonders of Calabria, Italy. Scilla and the village of Chianalea have fascinated visitors for thousands of years. in the seaside village of Chianalea in Scilla. have decided to open their homes to those who wanted to be bewitched by the magic of the places. We are happy that over time they have opened many other facilities and that our maintain over time the certification of hotel quality ISNART and has a ranking of excellent satisfaction. 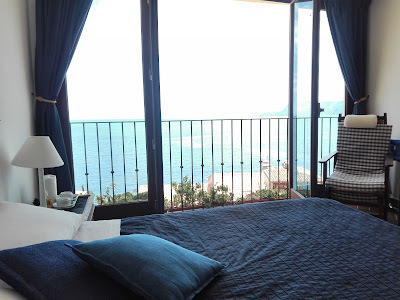 beautiful rooms overlooking the sea, a good breakfast, a reception service and transfer active 14 hours a day during the summer, parking assistance and agreements with the beaches and restaurants. The real reason for a quality that lasts over time is actually the magic of Scilla and its sea, the food that tastes of the sea, so much heat and our guests. The village of Chianalea in Scilla does not accept half measures: either you love it immensely or it means that you were looking for something different, standardized in an amorphous way. The village lives on the sea, small lanes, restaurants directly on the sea, boats and one of the most beautiful backdrops of the Mediterranean. But if you're looking for parking under the house, elevators and large halls, maybe you've got the wrong place.